Shutdown command works just fine, but if you want a GUI to schedule system shutdown in Ubuntu, EasyShutdown is the answer. 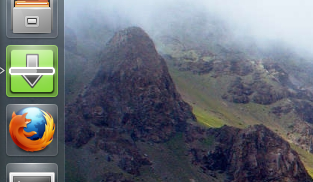 It was a very basic app made to do just that one thing, scheduling shutdowns in Ubuntu. And it is nicely integrated with Unity launcher as well. Scheduling Shutdowns in Ubuntu and Linux in general is easy if you're good with Terminal. But what about the others? EasyShutdown comes to the rescue. 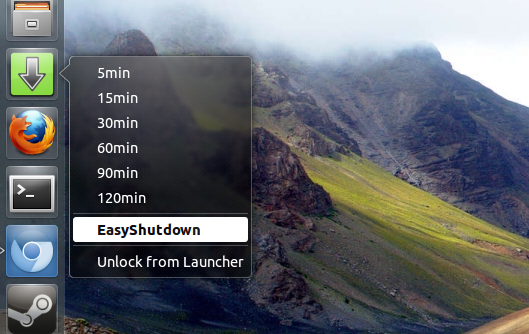 EasyShutdown is an app that lets you schedule shutdowns in Ubuntu, plain and simple. It is well integrated into the Unity launcher with its own quicklist of sorts. Yeah that's right, there is even a progress bar showing the amount of time remaining before the scheduled system shutdown. How to Install EasyShutdown in Ubuntu?